Reducing leaks around windows, doors and chimneys in your home will result in considerable annual energy savings. • Older structures may be under-insulated since the amount of insulation in ceilings, walls, and floors is often determined by the building or energy code requirements mandated at the time the structure was built. • Check to see if your attic and basement (or crawl space) have a sufficient level of insulation. 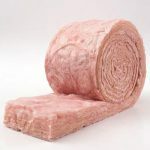 • Consider adding insulation when embarking on a home remodeling project. • Install pipe insulation on all exposed hot water pipes. • Install pipe insulation on the first three feet of exposed cold water pipe connected to the water heater. • Identify places that heat escapes from your home. Check for gaps and holes that allow heat to escape, raising your heating bills and making your home drafty and less comfortable. • Check your furnace filter(s) monthly. During the heating season (also during the cooling season if you use air conditioning). The proper time interval for replacing or cleaning filters will vary depending on the rate of accumulation of pet hair, dust, and carpet lint in your home. 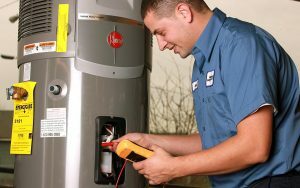 Check your furnace owner’s manual for the manufacturer’s recommendations and instructions. • Seal your home’s unheated spaces. If ductwork goes through an unheated basement, attic or crawl space, check for leaky joints or disconnected sections. Seal leaky joints with latex duct mastic or foil backed butyl tape. Reconnect any loose sections, seal, and support. • Contact your furnace and/or thermostat manufacturer to assure that your furnace and thermostat are compatible and adjusted appropriately for your home. • Install weather stripping and door sweeps along with caulking any exposed cracks or missing seals. For a no-cost fix, roll up a bath towel and hold it against the bottom of the door with a weight. • Replace caulking around your home’s windows to reduce air leaks. Use non-hardening “rope caulk” to temporarily seal gaps on little-used, movable windows and sliding doors. • If your home’s windows are single-paned, consider installing inexpensive “tape-up” interior storm windows for a low-cost, temporary fix. Caution: Make sure that doors and windows can be opened as emergency exits in case of fire. Information courtesy of Puget Sound Energy. I have been told by two people that you have a Home Weatherization Project that I would most likely qualify for….I guess there are government funds out there. Can I get more info or be directed to the right channels of communication. Thank you! Thanks for asking. There are many home weatherization programs and we want to find the right fit for you. Please give us a call at 800 398 4663 and our representatives can tell you all about it.